Complex economic models offer a wide range of options for simulation runs and return a vast amount of data, which has to be explored and exploited in various ways. 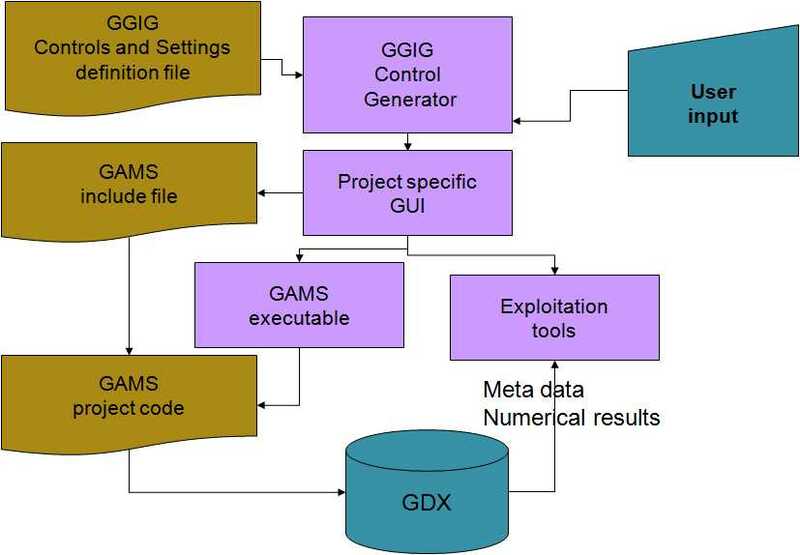 The GAMS Graphical Interface Generator (GGIG) allows to operate such economic models through a Java based user interface. 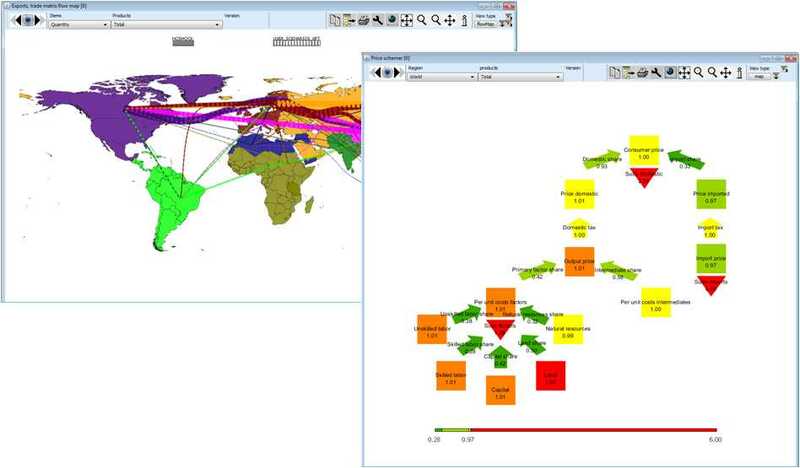 GGIG was developed to generalize functionalities originally developed for CAPRI and allows to steer complex applications and to analyze their results based on tables, graphics and maps. It generates a basic Graphical User Interface for GAMS projects based on XML files. These files define the controls for simulation runs and result exploitation. GGIG is currently used in a number of economic and agricultural modeling projects across the world. Besides GAMS, it also supports applications using the free-ware statistical package R and can also provide input for applications realized in Java. One project might also combine applications using these different languages. GGIG can be used on Windows and on MAC/Linux. The LANA-HEBAMO river basing model for the Lake Naivasha basin in Kenya, developed in the context of the project RCR - Resilience, Collapse and Reorganisation in Social-Ecological Systems of East- and South Africa's Savannahs. October 2015 Generic decomposition approach using Jacobian information from CONVERT added to "Equation and Variable viewer"